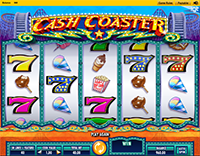 If you love the amusement park at Coney Island or the old wooden roller coasters of Canada's Wonderland, save yourself the nausea but enjoy every bit of excitement with IGT's Cash Coaster slot online! 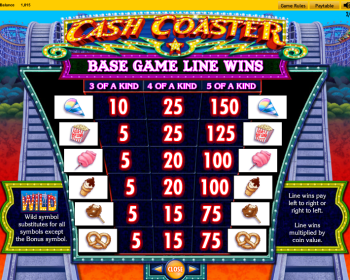 This 5-reel 30-payline video slot will make you feel like walked through the ticket gates of a theme park but you can save yourself the delay of having to wait in any lines! 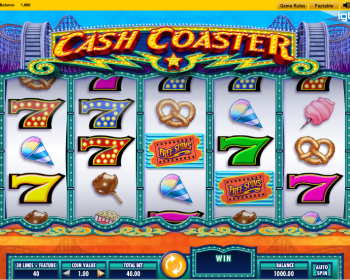 If you love the amusement park at Coney Island or the old wooden roller coasters of Canada’s Wonderland, save yourself the nausea but enjoy every bit of excitement with IGT’s Cash Coaster slot online! 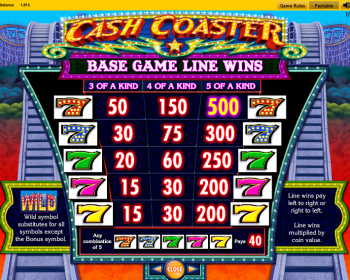 This 5-reel 30-payline video slot will make you feel like walked through the ticket gates of a theme park but you can save yourself the delay of having to wait in any lines! 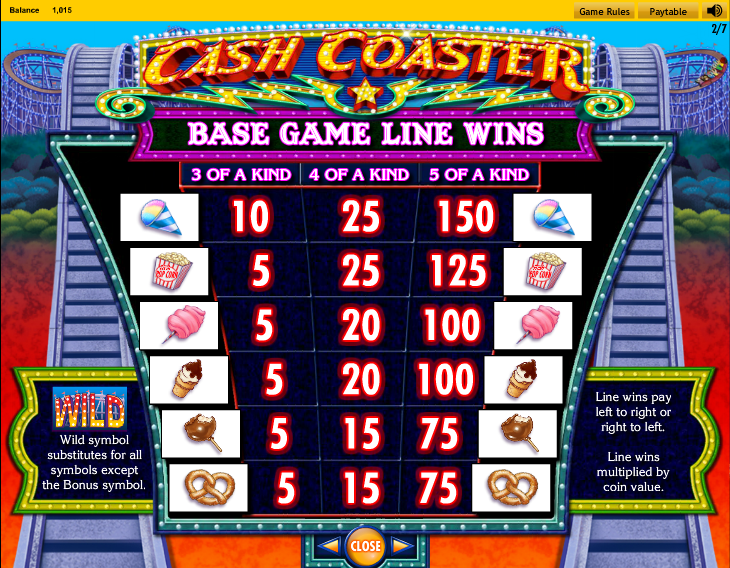 Symbols in this simple and fun slot include Boxes of Popcorn, , Ice Cream, Caramel Apples, Snow Cones, Cotton Candy, Pretzels, and a variety of Lucky Number 7 symbol designs. 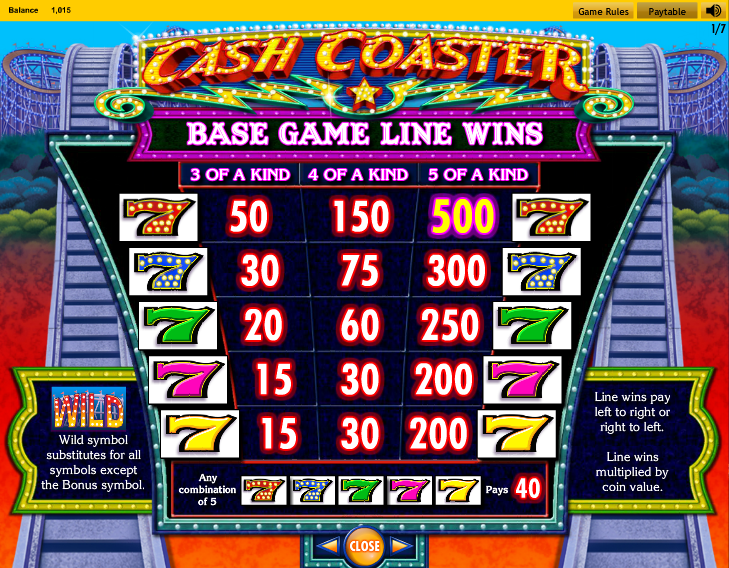 If you’re lucky enough to land 5 of a kind red 7’s, you’ll win a 500-coin jackpot! 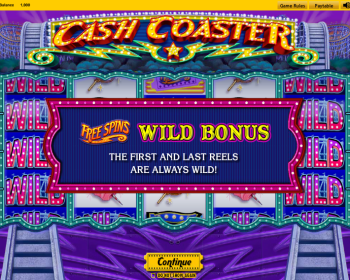 You’ll know the Wild Feature symbol in Cash Coaster as it is represented by the word “Wild.” The Wild substitutes all other symbols apart from the Free Spins icon, which is the Cash Coaster scatter. 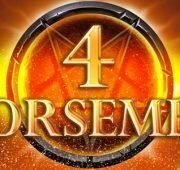 Hitting this Wild symbol on reels 1 and 5 can turn the entire reel into a rip-roaring full-reel expanded wild! 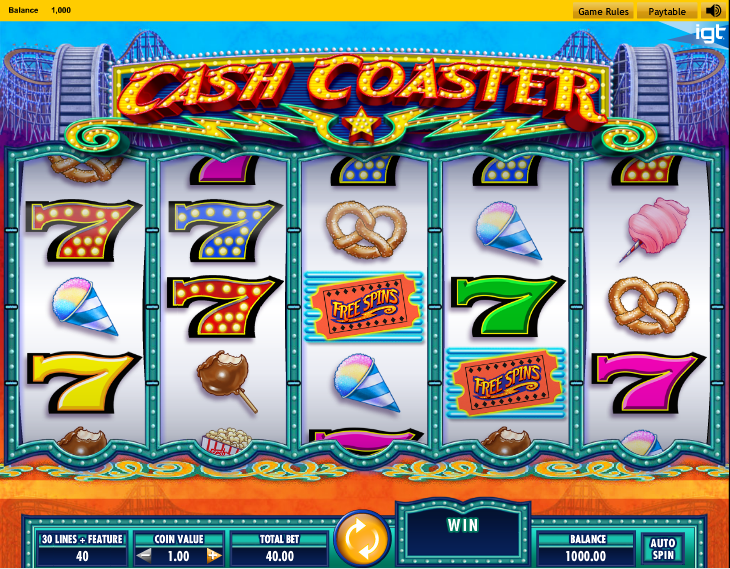 You will trigger the Free Spins bonus when you hit at least 3 Free Spin symbols across the reels. 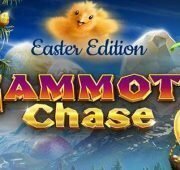 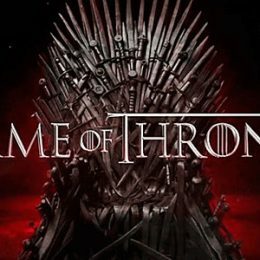 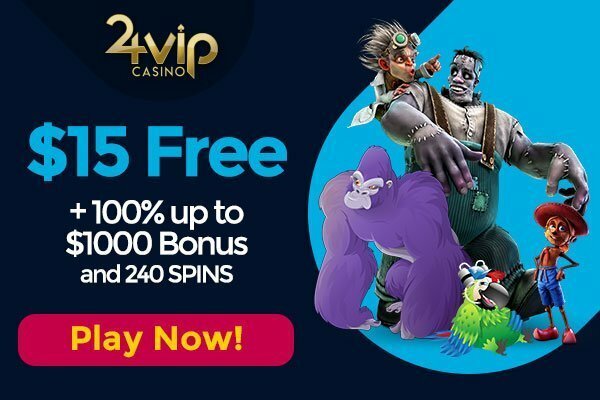 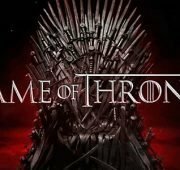 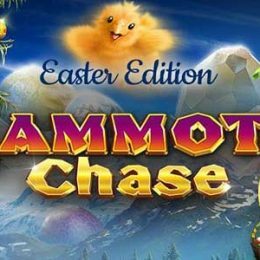 When this happens you will be awarded with 30X your coin value and you will also be asked to pick a Ticket Booth that will determine whether you win 4, 5, or 6 free spins. 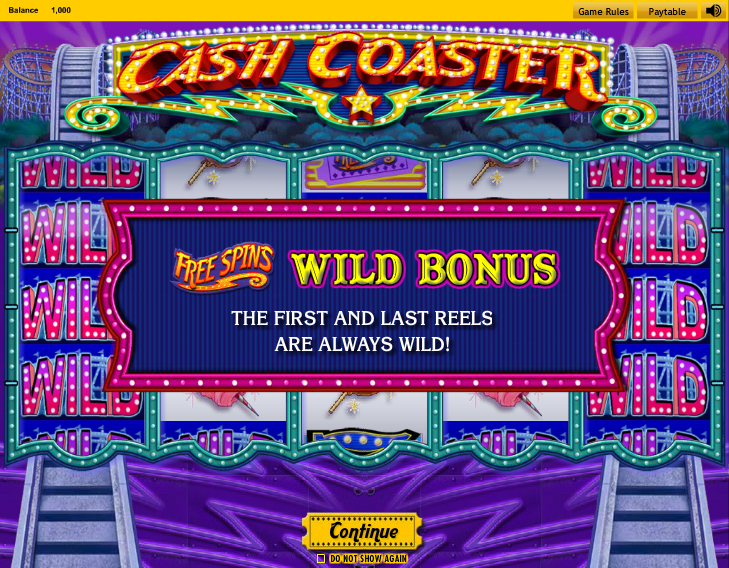 Reels 1 and 5 remain completely wild during free spins, providing you with more chances to hit winning combinations. 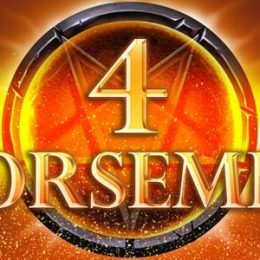 You will also come across another Free Spins symbols (represented by a different color) and 3 or more will see you win additional Free Spins. 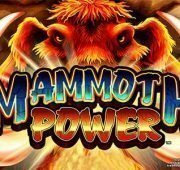 The 30X multiplier applies to all wins realized in the Free Spins bonus, and it will remain active for the entire Free Spin session.